PATRON SAINT OF ORDINARY LIFE. On June 26, or days before or after, Masses all over the world will be celebrated in honor of St. Josemaria. 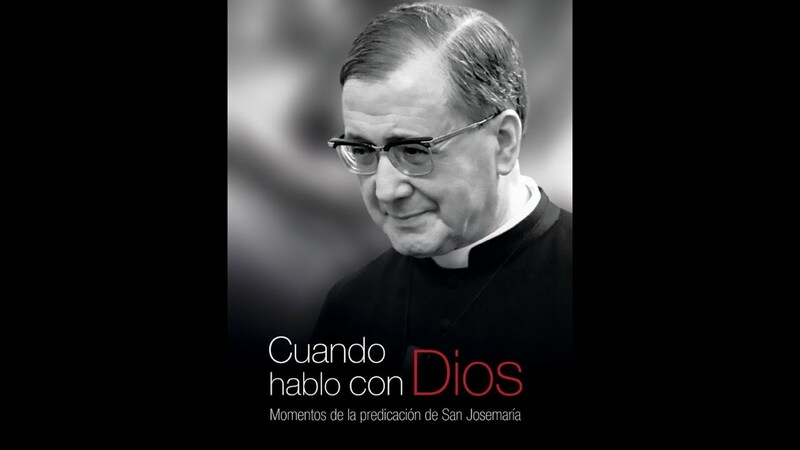 But who is St. Josemaria? St. Josemaria is the founder of Opus Dei, a Personal Prelature of the Roman Catholic Church. To him I owe a lot since I wouldn’t be who I am today if not for him and you will not be reading this neither if not for the heroic self-giving and dedication of this holy priest chosen by God to remind the world regarding THE UNIVERSAL VOCATION TO HOLINESS, which in the previous centuries, was erroneously expected only from priest, monks and people pertaining to a religious order. “St Josemaria was CHOSEN BY GOD TO PROCLAIM THE UNIVERSAL CALL TO HOLINESS and to show that EVERYDAY LIFE AND ORDINARY ACTIVITIES ARE A WAY OF SANCTIFICATION. He could be called the PATRON SAINT OF ORDINARY LIFE. The reason is his conviction that, for those who start from the viewpoint of faith, everything offers an opportunity for an encounter with God, everything becomes a stimulus for prayer. Seen in this way, daily life reveals unsuspected greatness. Hence, June 26 is a wonderful occasion to thank St. Josemaria for all he had done to faithfully and generously correspond to God’s will in spite of all the obstacles, calumnies, and contradictions he faced during his life. His faithful fulfillment of God’s Will to found Opus Dei has resulted to a bountiful harvest of fruits of holiness and apostolate among many people in the world. Thank God that through his teaching, many people have discovered the divine beauty of ordinary daily life as a path to holiness, a path towards a profound, intimate relationship with the Blessed Trinity who calls each and every one of us towards sanctity. -Fr. Rolly Arjonillo, priest of Opus Dei. Josemaría Escrivá was born in Barbastro, Spain on January 9, 1902. He was ordained on March 28, 1925. He studied civil law along with his ecclesiastical studies, and in 1927, he moved to Madrid to obtain a doctorate in law. While there, he worked hard with the poor and sick, and also with students, workers, and professionals. On October 2, 1928, he saw by divine inspiration, as the Pope’s Apostolic Constitution Ut Sit affirmed, that God was asking him to spread the universal call to holiness, and that a new path would be opened up within the Church – Opus Dei – to spread this call throughout the world. History has borne out this vision: there are now around 90,000 people in Opus Dei and his spiritual message has reached millions. His apostolic work was not limited to Opus Dei, however. He helped numerous people discern vocations to the priesthood and religious life, both active and contemplative. In 1943, he founded the Priestly Society of the Holy Cross, an association inseparably united to Opus Dei, to which belong thousands of diocesan priests around the world. And his Christian teachings on marriage have been especially influential, with countless people putting them into practice in their lives. Escrivá was always a proponent of understanding and dialogue, and in 1950 he won the Holy See’s approval to allow Opus Dei to appoint Cooperators, who could be Catholics, non-Catholic Christians or even non-believers. Inspired by Escrivá’s teaching and his promotion of the apostolic and social responsibility of Christians, the members and Cooperators of Opus Dei have started hundreds of evangelical works and social initiatives all over the world, especially among the poor and disadvantaged. Willing to innovate, but always faithful to the Magisterium of the Church, Escrivá was described by Pope John Paul II as a precursor of the Second Vatican Council. He anticipated by thirty years many of the teachings that, after the great ecclesial assembly, became the patrimony of the whole People of God. He is the author of books of spirituality which are read around the world. His best-known book is The Way, which has sold nearly four million copies in 43 languages. Escrivá died in Rome on June 26, 1975. He was beatified on May 17, 1992, in St. Peter’s Square. He was canonized by John Paul II in the same place on October 6, 2002, before a crowd of 350,000.